 iClone is a proven pipeline that Daz users have been using for a long time to produce awesome, quality work with all the beautiful content that Daz has to offer. 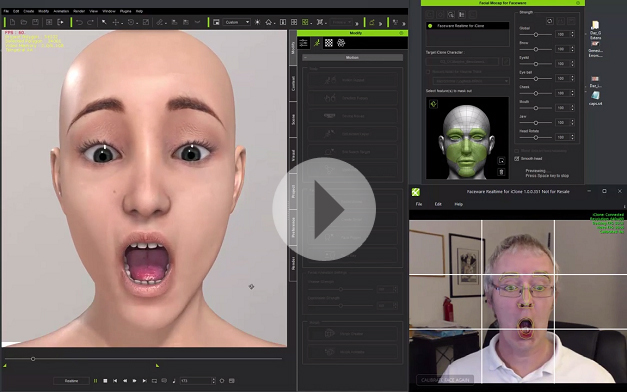 Bring Daz characters to life with intelligent real-time lip-sync, facial expression tools, body animations, and dynamic soft-cloth physics behaviors. 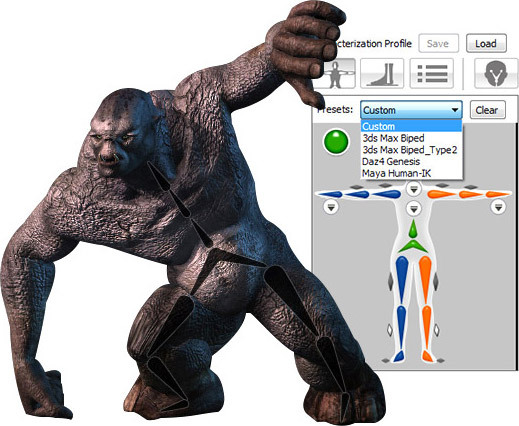 We have streamlined the characterization process for Daz Genesis characters so that you simply drag them into our 3DXchange conversion software, in FBX format, to automatically complete all the bone mapping for you! 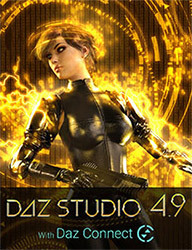 Once you have assembled your character in Daz, apply our pre-made iClone FaceKey DUF file. 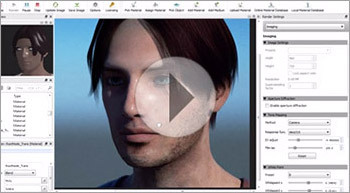 The DUF file contains a template set of keyframes, each corresponding to an unique face morph state of your Daz character which will later be used by the Expression Editor in 3DXchange to determine your character expression profile. 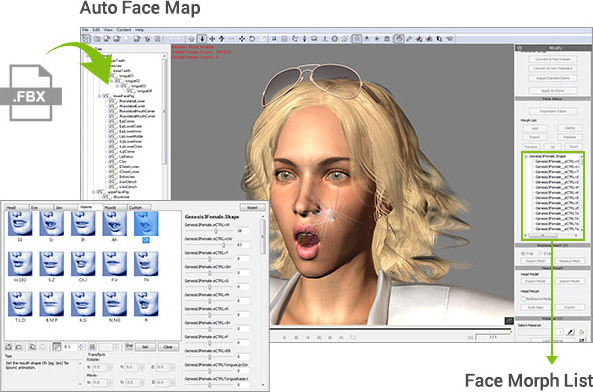 By modifying facial morph keys, you can create unique Daz facial behaviors, either for lip-sync, or emotional expressions. You can keep your own DUF file for future re-use. In order to enhance the facial expressions of Daz Genesis 8 characters, we have provided 63 custom facial morphs for optimal performance with iClone Facial Mocap and Animation Editing. These custom facial morphs contribute to the 82 gestures offered in iClone's expression system in a variety of ways. 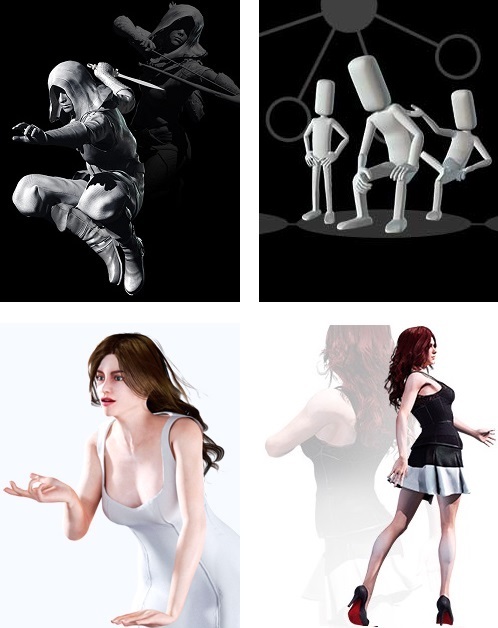 And, these morphs can still be used as a morph expansion set right inside Daz Studio. 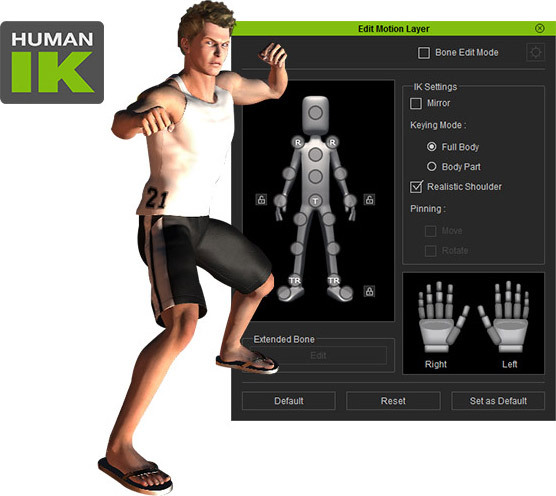 Using Human IK, the same MotionBuilder core character engine allows your 3D characters to have automatic floor contact, while the intuitive real-time IK motion control keeps a proper body balance. 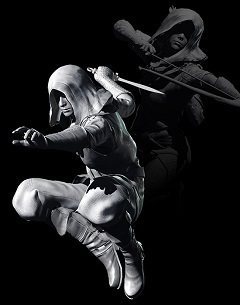 You may use a mouse to create an unlimited number of motion variations to reflect your character's personality. 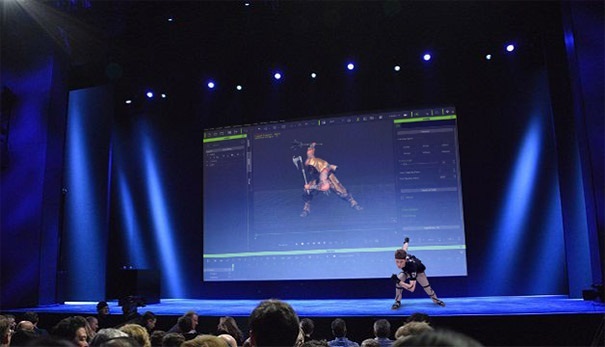 Users may select body parts and add puppet behaviors, while they control their animations during playback. 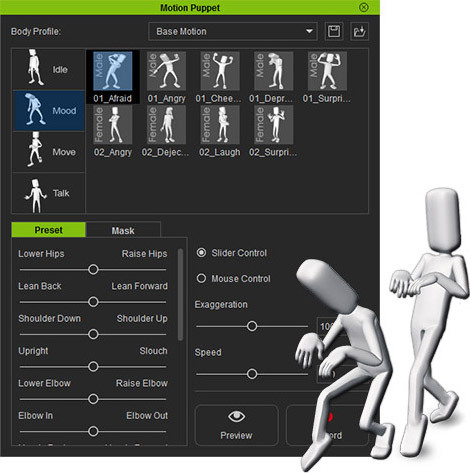 Animate your characters live, by using full-body motion capturing plug-in* for lighting fast, quality animations for all your Daz characters. 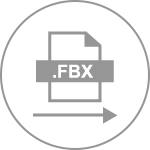 Instantly use embedded, template-based content for quick character and stage setup. Reallusion provides the largest online resource collection for real-time 3D assets. Fulfilling your needs for characters, motions, props, and textures. Find over 14,000 branded value packs in the Reallusion Content Store, and 340,000 items created by certified members of the Marketplace. Freely take advantage of the live content access and try-before-you-buy system. 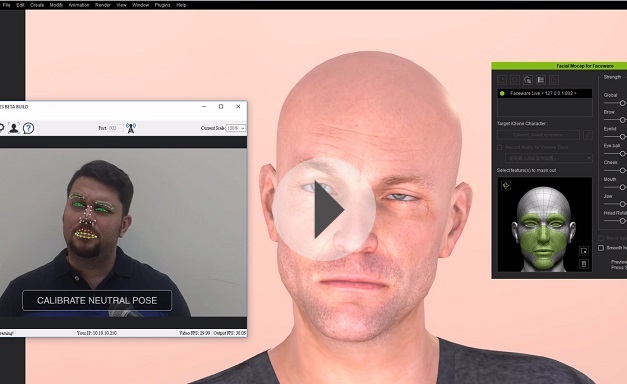 Use the face puppet tool to record movements in real-time for quick and easy facial expressions, or develop subtle expressions with motion key editing. 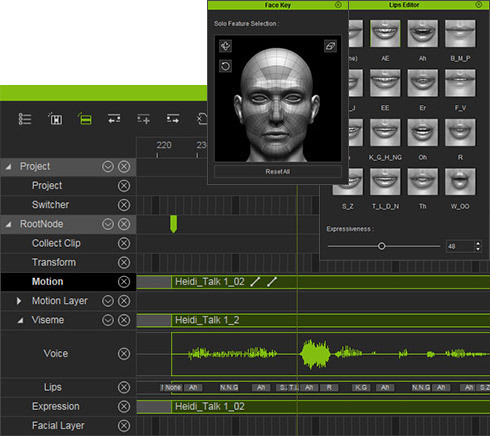 Use your own voice, or audio file to take advantage of the automatic lip-syncing feature, where you can refine each individual mouth viseme for accurate results. 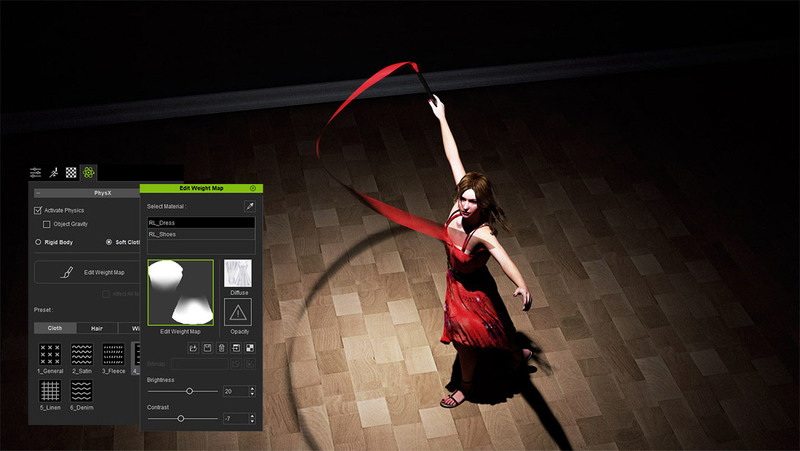 Achieve real-time facial motion capture and recording with the fast, accurate and markerless plug-in*. 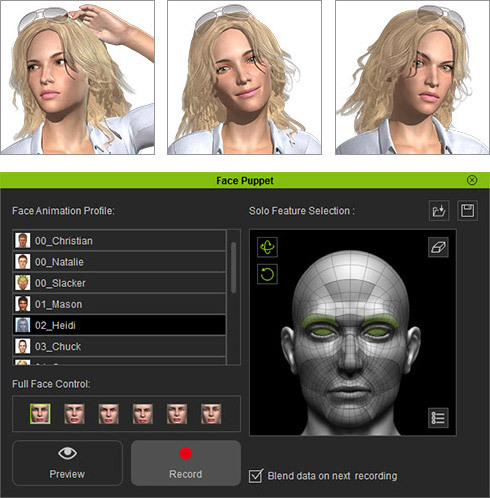 Just use a capable webcam to live mocap or a pre-recorded image sequence to drive natural human facial expressions and head movement for Daz characters. Best of all, is that iClone has brought with it tons of possibilities for amazing soft-cloth hair and accessories. Add real-time dynamic behaviors for your Daz characters. 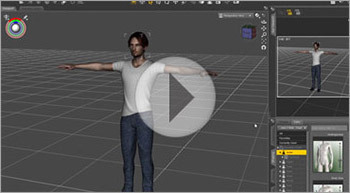 Customize the weight maps on your soft-cloth physics objects, accessories, and hair, for amazingly realistic results. Take things further, by rendering your Daz characters in photo-realistic quality with the iClone Indigo Render Plug-in; a physically-based, ray-tracing render engine.  With the 3DXchange Pipeline tool, you are able to export characters and motions to most 3D tools and game engines through FBX and BVH formats. This will open up a whole new world for you, with more freedom to seamlessly work with the entire 3D animation community. A massive library of Daz Genesis 3 characters can now be easily brought into iClone and animated using iClone's powerful animation tools. 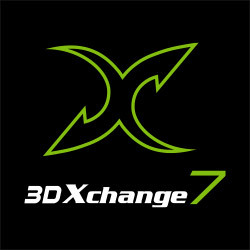 This tutorial will walk you through the process of how to convert your character in 3DXchange and touch up the materials, foot & hand contact, and more! This tutorial demonstrates how you can use all of these tools in combination to quickly create your own unique motions. Find out how to combine them in creative ways to really give you power over the way your character moves! 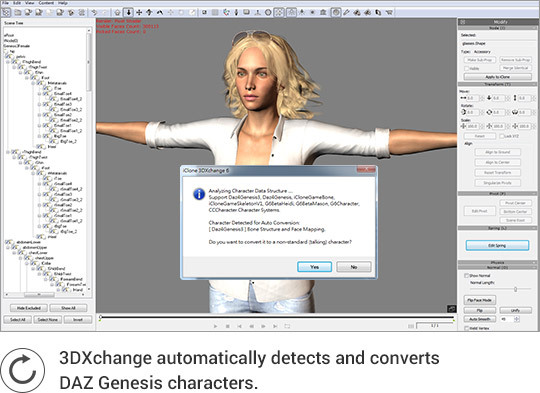 Learn how to import Daz Genesis 2 characters into 3DXchange 5 and apply a special T-pose made for that character type to ensure accurate body animation. Also learn how to apply the Daz .DUF file to your characters to assign different blend shapes that will be used in iClone for facial animation and lip-sync. In this tutorial, we'll walk through a few tips on how to apply Daz bump and specular maps to your character in iClone, and then adjust those maps and various other material values in Indigo to create a visually appealing result. Take advantage of iClone's high-performance physics engine to animate hair, accessories, and clothing in the most natural way possible. This tutorial will briefly explain to you the concept of weight maps and how you can create them, in addition to applying G6 character hair to your Daz characters as well. This tutorial will show you how to utilize the Face Key Template .DUF file included with our Facial Pipeline Character pack and apply it to your character within Daz to make it immediately compatible with all iClone facial animation tools, including facial puppet and lip-syncing. 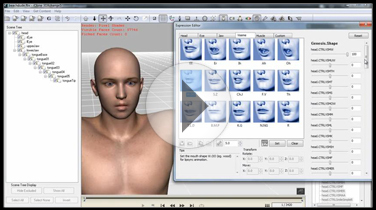 This tutorial will cover how you can customize that facial blend shape data in both Daz Studio and 3DXchange to create more personalized and exaggerated expressions that can be utilized by the facial motion tools in iClone. 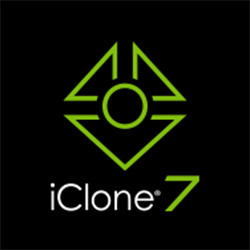 WHAT IS THE ICLONE DAZ GENESIS EXTENSION? 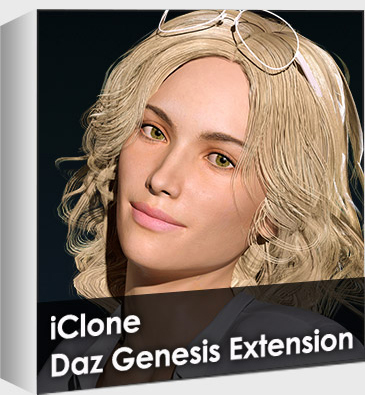 iClone Daz Genesis Extension is a free bonus that comes with 3DXchange PRO / Pipeline.